Company Web Sites – A Good Source? A company's own web site can be a good source of information. It can provide information about current company events, products, divisions and governance policies. Something important to keep in mind though is that a company web site is primarily a public relations document. Therefore you need to carefully evaluate information found on the web site, and keep in mind that the company isn't likely to offer any information that isn't positive. So, while a company’s website is a good source, it should not be your only source when gathering company data. A company website's main focus is to display and sell products. The information that you, as a student, are looking for will be accessible via a link, usually titled corporate or company information. This link is usually listed at the bottom of the commercial website. 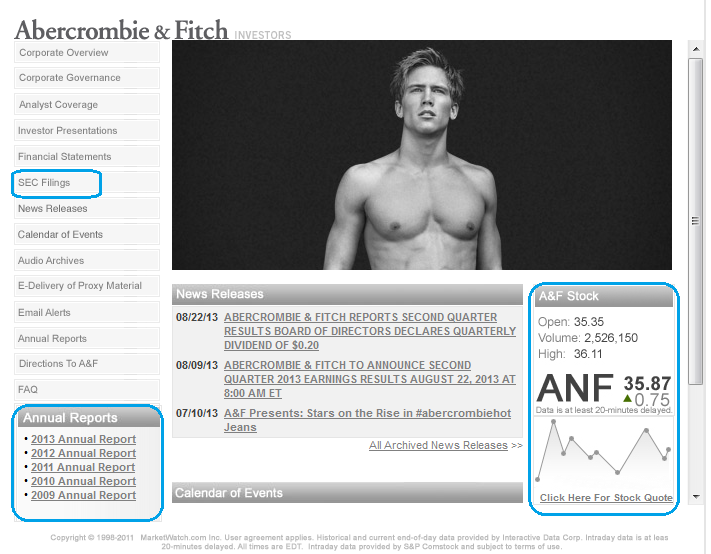 Here is an example of Coach, Inc.'s company info link at www.coach.com (scroll to bottom of page) as well as Abercrombie's Investor info link at http://www.abercrombie.com. From a company's "about us" or "information" webpage, you will typically find investor news, corporate governance, executive information, mission statements, financial reports, and stock information. 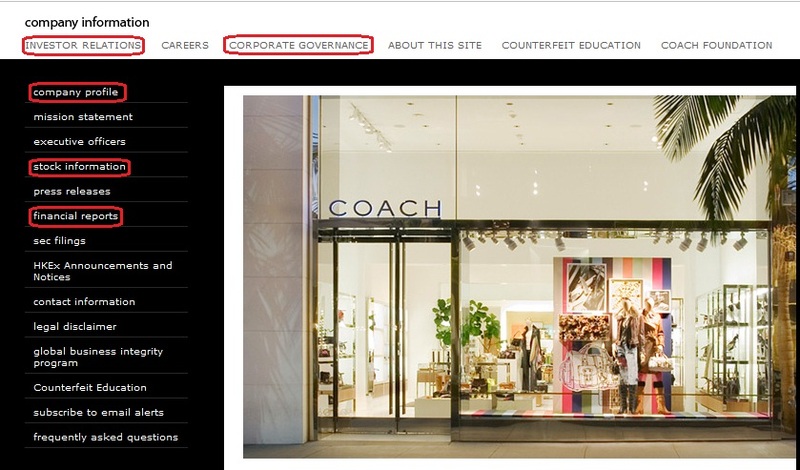 Below you will find an example of Coach's company info webpage.